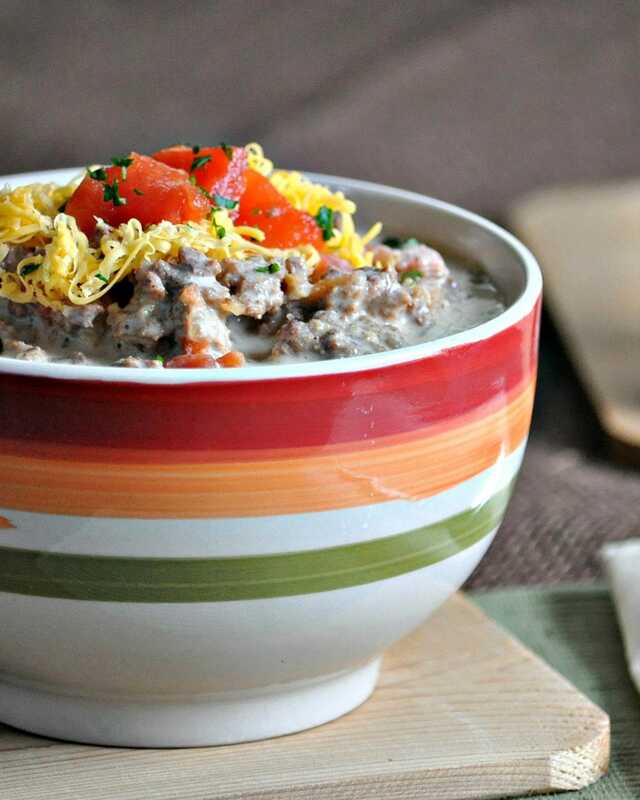 This Keto Bacon Cheeseburger Soup has all the flavors of a cheeseburger, but in soup form. It’s even as though you can taste each individual condiment. So warm and comforting. Low carb soup recipes are my jam! In fact, I love them so much that several years ago, I wrote an entire Slow Cooker Soups and Stews Ebook. 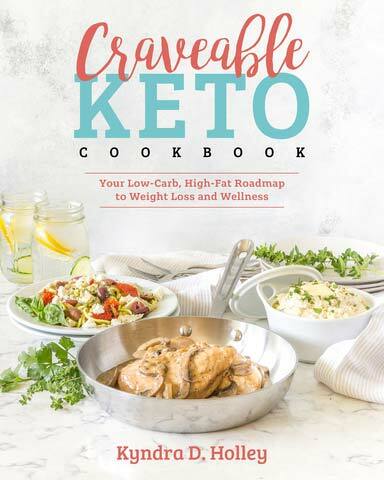 This Keto Bacon Cheeseburger Soup is one of the recipes from that book. I’ve made it so many times on my Instagram, that I felt it was only fair that after all these years, I finally share it here as well. 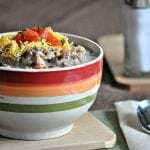 Not only is this keto soup rich and filling, but it manages to capture all the flavors of a juicy, delicious cheeseburger. It’s as if you can even taste each individual condiments too. 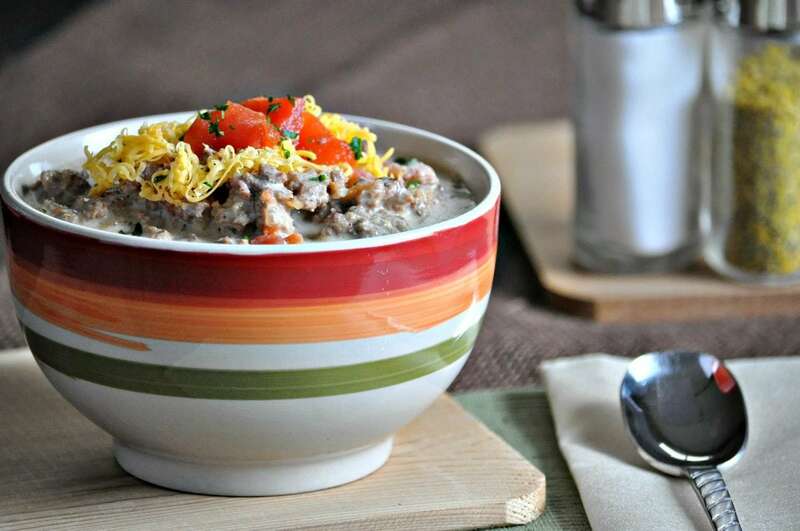 This Keto Bacon Cheeseburger Soup is one of my all-time favorite comfort food recipes. I am a year round soup eater. Hot or cold weather, soup always sound delicious to me. Who’s with me? 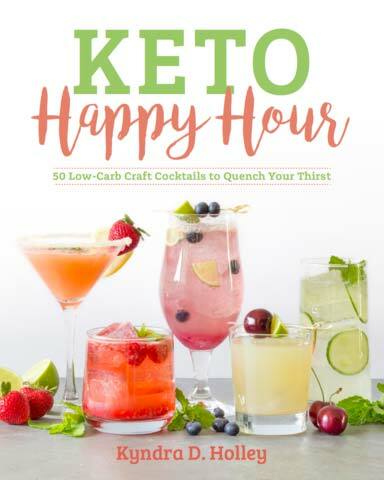 A lot of low carb and keto soup recipes utilize xanthan gum to thicken the broth, but I prefer not to. This gluten free soup recipe is thickened with the use of cheese and heavy cream. I have always been a fan of cream based low carb soups. Actually, Who am i kidding? I am just a big fan of soup in general. 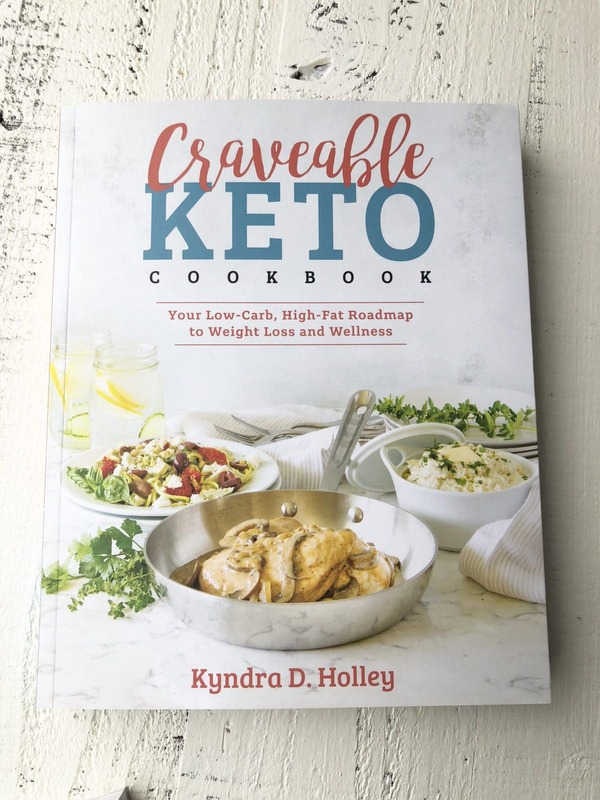 One of the most common questions I get on a lot of my slow cooker soup recipes is how to covert them to stovetop, so for this Keto Bacon Cheeseburger Soup recipe, I gave instructions for both. However, I feel like I need to tell you that you should probably make a double batch! It is that good. Every time we make this, there are never any leftovers, no matter how much I make. In fact, I have to make triple batch in order to have some for our weekly meal planning and low carb food prep. It is one of those soup recipes that just gets better and better as the days go by. It also reheats really well! This low carb, high fat soup is only about 300 calories and only 3 net grams of carbs. With macros like that, you can afford to have two servings. 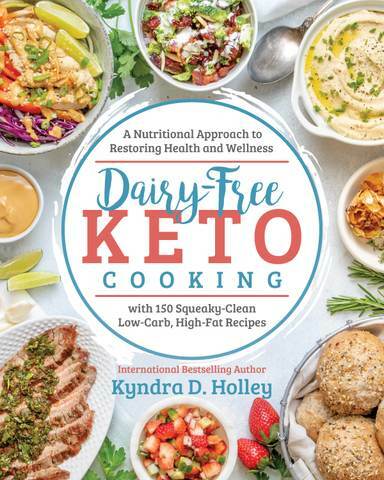 Do you have a favorite low carb soup recipe to enjoy on those cold, blistery fall and winter days? Looking forward to giving this recipe a try. 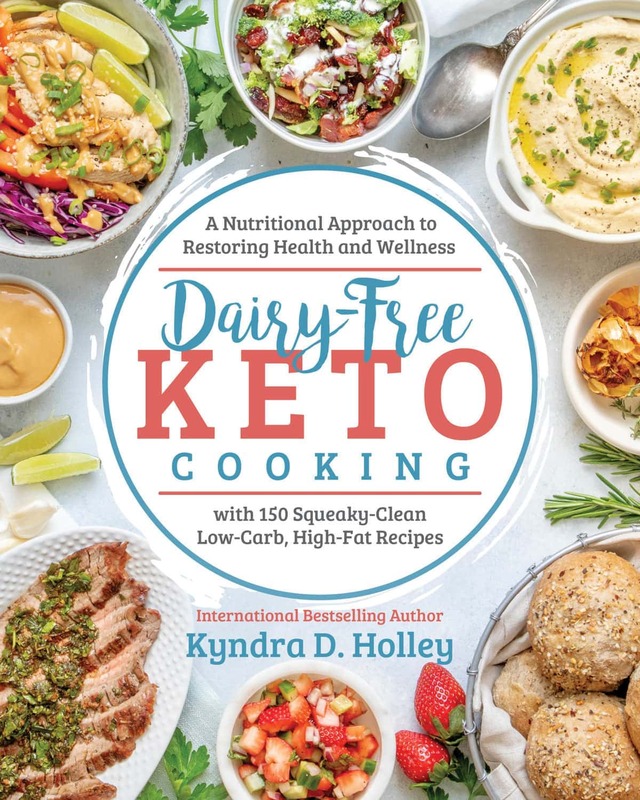 Me and my wife have bought a couple of your books so far and they have been a tremendous help in our weight loss journey. Question, can we substitute out the heavy cream and use Greek yogurt instead? I’ve done this in my own homemade Mac n cheese and was curious if you thought it would work here? This was so so good! Will definitely make this again. It is cravable! This was very good and filling! I modified slightly, as I don’t like pickles or tomatoes, but the flavor combination was great. Thanks for your work to put together recipes for those of us not creative enough in the kitchen to come up with our own! I’ve also got your cookbook and love all the recipes I’ve tried from it too. Kendra, I made the soup tonight and it was delicious! Made this tonight and it was delicious with no modifications. Thank you for such a great dinner idea. You can cook it on high for half the amount of time and that is fine! This is satisfying and delicious. Perfect for a cold winter day. It only took 30 min in the Instant Pot. This soup is really easy to make. I browned the meat (beef and pork) the day before and then used organic crushed seasoned tomatoes instead of a chopped onion (my husband is allergic). I let the whole thing cook on low for two hours, added the cream and shredded cheese and let it cook for another 45 minutes and called it done. We topped it with bacon and some leftover shredded cheese. My husband, who does not even like soup, ate two huge bowls. Delicious! Left pickles out for my hubby. Made the Bacon Cheeseburger Soup, one word describes this soup; awesomeness! PS. 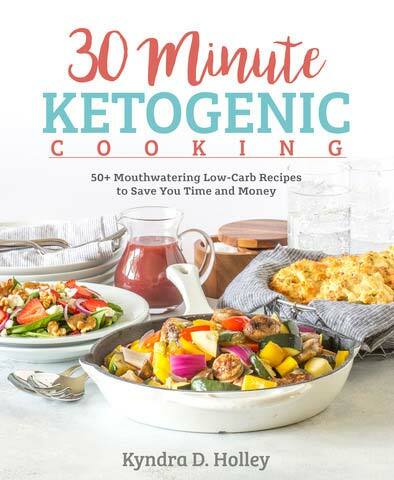 I purchased 30 minute Ketogenic and The Cookbook. This was amazing!! My husband was Leary about the pickles but he literally ate 3 bowls of it before I could eat one lol a definite success!! Loved this recipe! Being from New Mexico, we plan to add some green chile next time for a true Green Chile Bacon Cheeseburger taste! I do have one question, though. Has anyone frozen this for later? If so, how does it come out? Thanks! made as stated and froze half. It thawed wonderfully!! My 13 yr old LOVED it!!!! Thank you! Made it and it came out great! I did end up adding some xanthum gum as I like a thicker soup. Next time I think I’ll add some jalapeños or chili’s for heat. Excellent Soup – Flavours amazing – made as per recipe – thank goodness I doubled it – everyone loved it!! This is a great soup! I left out the pickles and I used 1 10oz can of Rotelle Original (diced tomatoes with green chili’s) in place of the tomato. It was delicious! Loved this! I did add diced green chilies and 1/2 – 1 cup of pickle juice. I never feel the need to comment on blog posts or recipes, but with just one month of keto under my belt, we’ve made this soup 6 times!! We’ve had fun making some alterations along the way — adding more meat, subbing deer meat and beef stew chunks, and our favorite: adding something green for lettuce! I prefer quartered Brussels sprouts, while my husband likes kale. We also like to eat this over pork rinds, which ends up tasting like a soggy burger bun! So happy you enjoy it. It’s definitely a favorite in our house too!! This soup was great for my low carb diet! AND A BONUS—-my very picky husband LOVED it too! Will definitely keep this recipe! Thank you so much! Made soup according to stove top recipe. I like pickles on my burgers but 1/3 c chopped pickles made the soup less like a cheeseburger and over-poweringly like pickle soup! Will try it again but only use a couple pickle chips. Since starting keto, I’ve been craving a juicy burger & this really hit the spot. Wasn’t sure how I’d feel about pickles in every bite, so I used them as a garnish along with the bacon, a sprinkling of cheese & a little chopped raw onion. I subbed evaporated milk for heavy cream since that’s what I had & used tomatoes with green chilies for a little kick. Served mine over some mixed greens for a full burger experience. Absolutely delicious! This is definitely going into the rotation. My husband loved it too. Usually, when we have leftovers, we’ll skip a day or two before finishing them up but we happily ate this two nights in a row. Thanks so much!